It begins in the New York of early 1983. And then flashes back to London seven months before. The next year they are rehearsing together for her American stage production of Noel Coward’s Private Lives. The world’s most famous couple – married to each other twice and divorced twice – yet again at the centre of a media circus. Burton and Taylor is a film worthy of both screen legends, generally agreed to be two of the finest actors ever. With Taylor regarded as the world’s most beautiful woman and Burton the gloriously-voiced hellraiser every female wanted to tame. 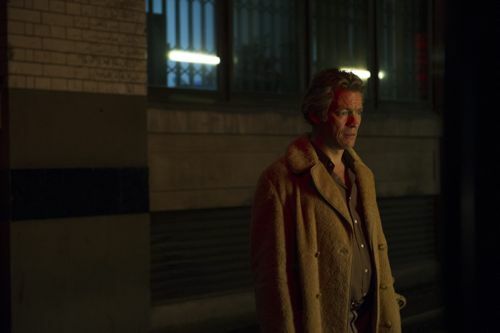 This diamond of a 90-minute drama is broadcast on BBC4 at 9pm next Monday (July 22). 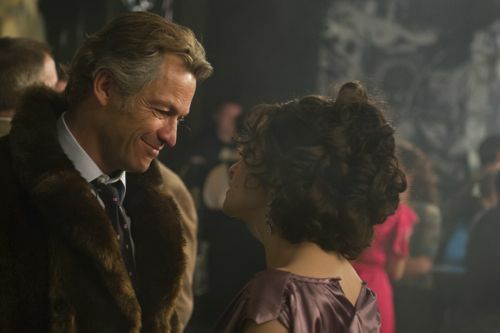 Dominic West and Helena Bonham Carter sparkle as Burton and Taylor. Not least due to one of William Ivory’s best ever scripts and the direction of Richard Laxton. I was lucky enough to see a preview screening at BAFTA in London last night (Monday) followed by a Q&A – my full transcript is below. It was all but standing room only for this very special film, the last in a series of often acclaimed BBC4 acclaimed “biopics”. Like most of those previous dramas, it focuses on one significant period in the lives of its subjects. 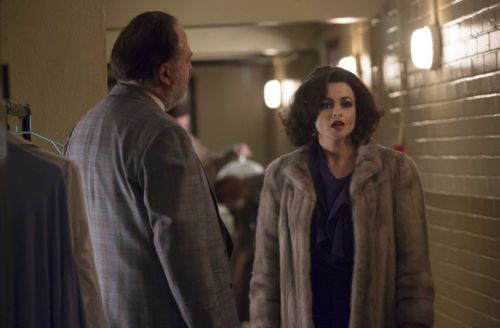 Co-produced with BBC America, Burton and Taylor captures the essence of their magnetic mutual attraction and addiction. While leaving you with, perhaps, a smile on your face and tear in the eye. If you’re too young to remember much about Burton and Taylor, check out the links at the bottom of this blog and take a look at them in their golden days. My Q&A transcript will also, hopefully, give you a better idea of why you should not miss this drama. Q&A with writer William (Billy) Ivory / Director Richard Laxton / Dominic West / Helena Bonham Carter / Executive Producer Jessica Pope and chaired by James Rampton. 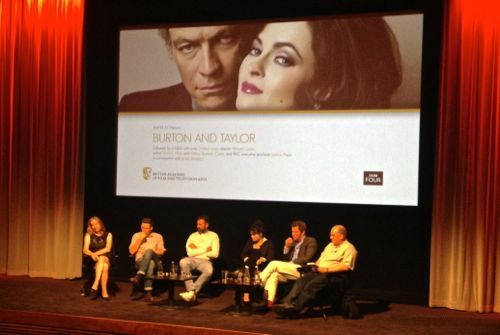 In typical Elizabeth Taylor style, Helena was fashionably late joining the panel on stage. In her absence, an audience member asked about typecasting. Q: The genesis of the project? Helena then arrived on stage to applause. 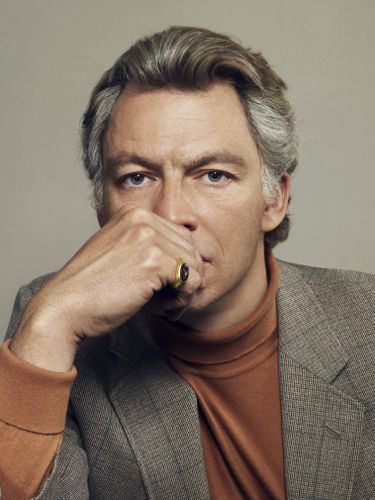 Q: So Billy, it was something that was in your mind already, a story about Richard Burton and Elizabeth Taylor? 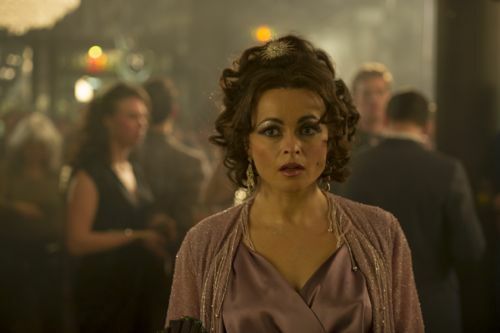 Q: Helena – when you were offered it, what appealed about this role? Q: Dominic – what drew you to Richard Burton? Q: Richard – what made you think that these two actors would be so right for these roles? Q: Because they had terrific fun together, didn’t they, as much as everything else? Q: Dominic – didn’t you read a story in a 1971 issue of Vogue which captured their sense of fun? Q: And she had a great sense of humour as well, didn’t she? Q: Why did they keep going back to each other? What was it that drew them together so often after being repelled? Q: But in the end he had to withdraw. Why do you think he did that? Q: How did you go about researching it, Billy? There’s masses of material on both these characters? Q: Jess – it’s 30 years now since Richard Burton died. Why are we still so fascinated by them as a couple? Why has it remained so iconic? Q: Would you see them in some ways as the first of the modern age celebrities? The Cleopatra Scandale that they talked about, it was a worldwide phenomenon. The Pope was commenting on it? 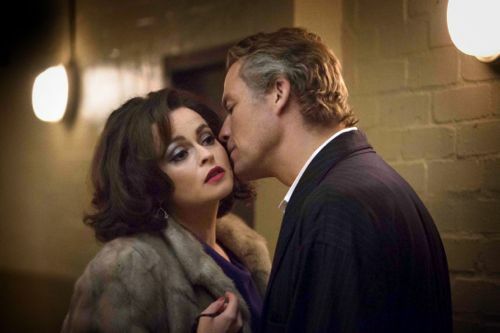 Richard Laxton and Helena Bonham Carter. Q: Richard – astonishing that you made such a great film in 18 days. Was that the biggest challenge for you as a director? Q: You said to me Helena earlier that it gave you a great sense of momentum. You were in the zone because you were having to make it so quickly? Q: You both look amazing in the role. How did you achieve that? Was it a long process to find those looks? Q: The other great authentic element of the film are the accents? They both have very protean accents. They seem to shift a lot. Did you find it hard to nail that? James then opened up questions to the audience. 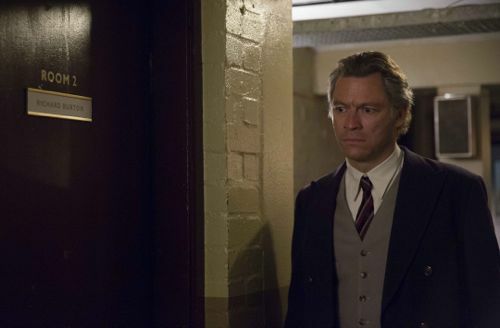 Q: (From me, as it happens) Dominic – I gather you went back to Richard’s birthplace? Did you draw on anything in particular from that visit? And also have either you or Helena ever been applauded into a restaurant? Q: Helena – you said that Elizabeth grew up around the corner from you. Apart from the tardiness which you have in common, would you say there’s anything else..? 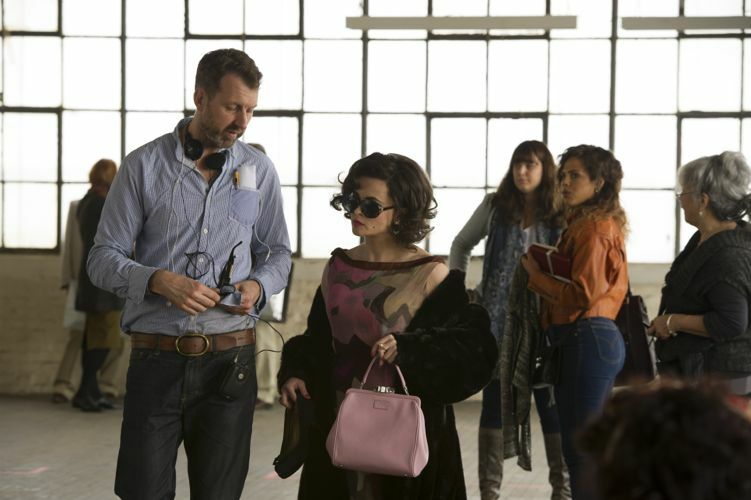 Q: Was there any trepidation about making this biopic, especially since Elizabeth Taylor hasn’t been very long deceased? Q: Helena – you mentioned briefly the self-consciousness of having a camera come on to you. It’s very difficult to imagine you ever being self-conscious. Are you really and how do you deal with that? Q: The King Lear references? It seemed to resonate through the piece and I wondered what kingdom Richard was giving up? Was it Liz or were you intending more than that? Q: So she was the King? 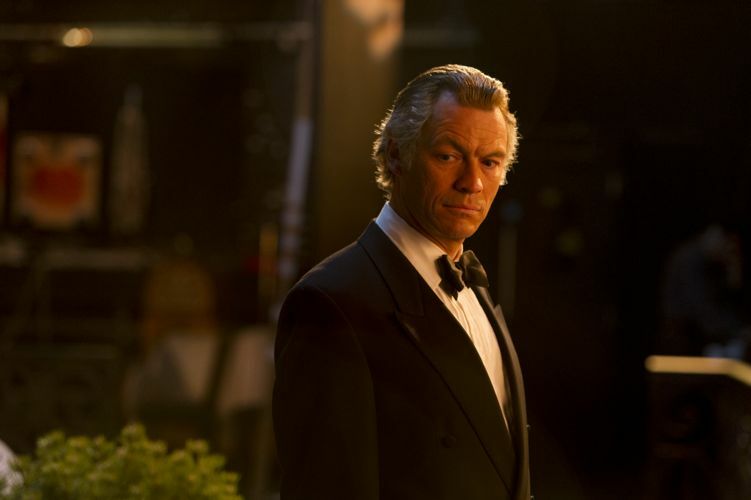 Q: William – I had heard that Elizabeth never actually wanted a biopic done. Did you have any problems with the existing family and were you as honest as you wanted to be? Q: I read somewhere that she said, ‘No-one can play me.’? This very occasional Life of Wylie TV blog recently recorded over one million page views since it moved to a new platform under four years ago. A drop in the ocean in the scheme of things but I’d like to thank everyone who has ever taken the time to read something here. 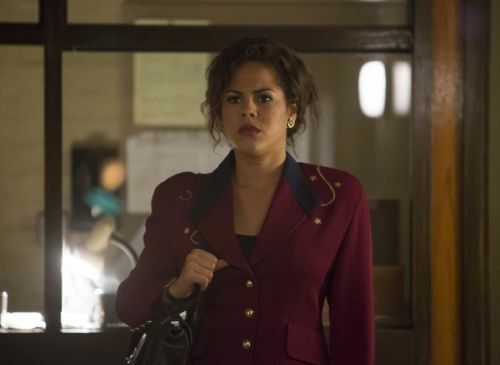 Lenora Crichlow as publicist Chen Sam. 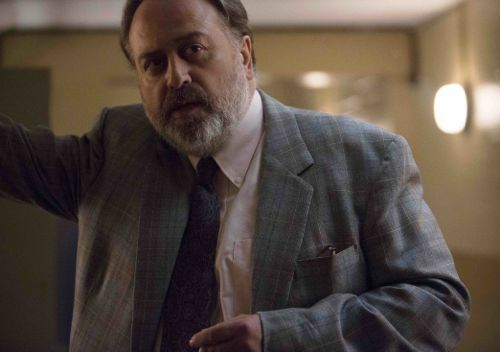 Stanley Townsend as Private Lives director Milton Katselas. 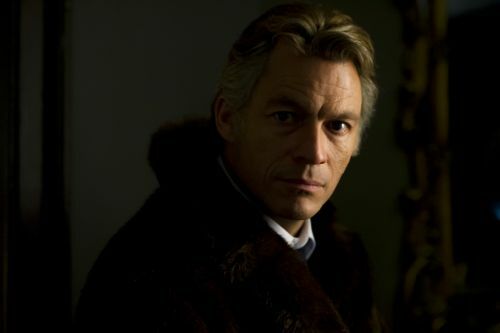 Posted in News and tagged BAFTA, BBC Drama, BBC4, Burton And Taylor, Dominic West, Elizabeth Taylor, Helena Bonham Carter, Jessica Pope, Private Lives, Richard Burton, Richard Laxton. Bookmark the permalink. Fascinating article, especially the press conference. Thank you! And thanks for reminding me this is due on soon; I’ve been wanting to watch it for ages, but thought I’d missed it. 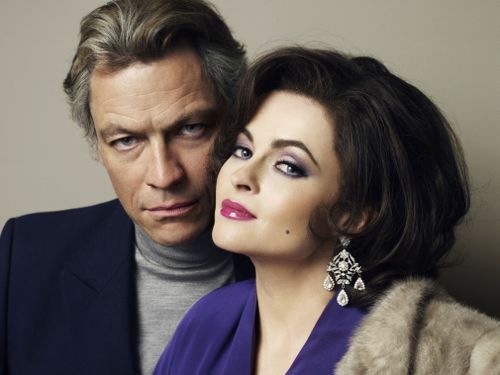 I don’t know Helena Bonham Carter’s work very well, but I’m a huge admirer of Dominic West. His portrayal of Fred West was extraordinary. I look forward to this! Thanks for transcribing this, Ian! Sounds like a fascinating story. Can’t wait to watch! brings back many, many memories!